Vote No on Proposition 2017-6 this November! Based on cost per bed, this would be one of the most expensive jails ever built in the U.S.
That's 100% of our public safety tax capacity for 30 years. Meaning we will have trouble funding any other public safety needs for the next three decades. And if sales drop due to economic changes, we will not have funds for other public safety needs. Skagit County just completed building their new jail for half the price per bed. 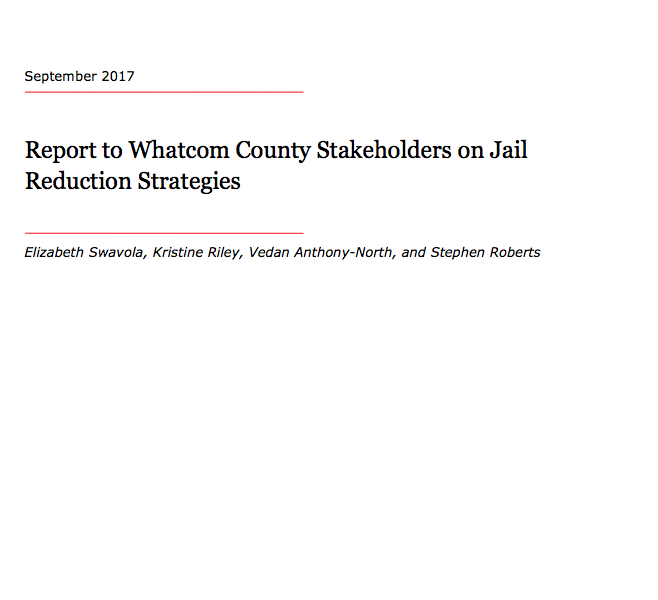 The jail "...is structurally sound" and in fair to good condition according to the 2016 Building Assessment Studies and Cost Estimates for Capital Improvements at the Jail and Work Center*. Built in 1984, our jail is in need of some serious repairs. About $34.2 worth over 20 years. But it's still usable. Moreover, our current jail is directly next to the courthouse, a short drive from the hospital, and within walking distance of non-profit social service providers. The proposed site is next to a dump and a former tannery, and has toxic waste onsite that needs to be cleaned. Proponents of the jail tax say that overcrowding in the jail is beyond help. We're not debating that the jail has been full in the past. We're saying that overcrowding is self-inflicted and it will continue to be a problem unless we address it first, before we build a larger facility. This is about getting to the root of the problem. 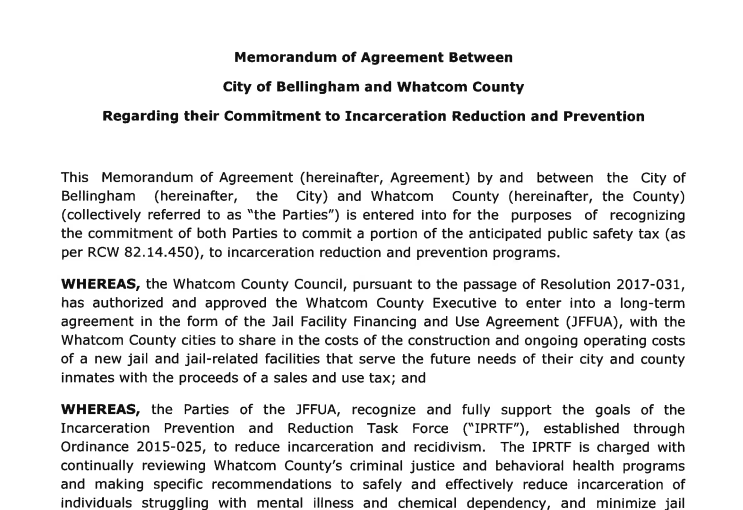 Between 1970-2014, Whatcom county saw a nine-fold increase in jail population. In that same time frame, the incarceration rate tripled: from 87 to 276 people per 100,000 county residents. This did not happen by accident. It is the direct result of policies that encourage mass incarceration. These trends will continue if we approve a status quo jail tax proposal. If recent history is any indication, we will be asked for even more jail tax dollars in just a few years. There are no guarantees that Whatcom County won't lease beds to Immigration and Customs Enforcement (ICE). Empty beds won't help meet this expensive jail's bottom line. If we build this jail, they will fill it. 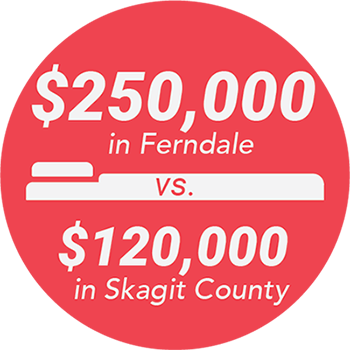 There are no guarantees that Whatcom County won't lease beds to ICE, who are conveniently located next door. The Tacoma City Council has already taken action to limit the growth of the of Northwest Detention Center in their urban core. It's no secret that ICE is looking for alternative detention spaces to imprison immigrants. Whatcom County has leased beds to the federal government in the past, and there's nothing to stop officials from doing it again. The jail tax proposal puts a disproportionately large amount of the money into building a facility, instead of prevention and treatment programs. Ground Response and Coordinated Entry (GRACE). Pretrial Risk Assessment. With 60% of people sitting in jail just waiting for trial because they can't afford bail, we need a better system of screening out those who can safely be released until trial -without requiring them to write a check. We cannot build a big jail to fill it with people in poverty. Reminder notices instead of relying on warrants. These should be sent out before court dates to reduce FTAs (failure to appear). Create oversight and accountability mechanisms to ensure successful and sustained jail population reduction. There are better ways to build safe communities. Check out these innovative programs highlighted in the latest Vera Report. "Santa Barbara, California established the Santa Barbara Community Sobering Center as an alternative to jail for people detained for being intoxicated in public and driving under the influence of alcohol within city limits. The center, run by a local non-profit called Threshold to Recovery, is open 24 hours, holds people for a minimum of four hours, and both police and hospital staff can refer people to the center. While the sobering center allows people to avoid being booked into jail, it does not mean people are free from a citation or, when necessary, prosecution. Evaluations of sobering centers have been positive, and a 2005 report found the Santa Barbara initiative saved the county $47,400 in a one-year period. A study of a similar sobering center in Grand Rapids, Michigan found the center saved taxpayers more than $280,000 annually." "Some departments deploy officers paired with a behavioral health specialist to respond to crises. Milwaukee’s Crisis Assessment Response Team (CART) can be requested through the Milwaukee Police Department’s dispatch or through the County’s Behavioral Health Division Crisis line. Teams consisting of officers and a medical or behavioral health clinician are deployed to assess whether individuals in crisis can be diverted to community resources. On average, teams are able to divert people to community-based supports and resources 85 percent of the time. One assessment found CART intervention also decreased emergency room admissions in the County by 50 percent between 2011 and 2017." "In a pilot program in Jefferson County, Colorado (which was designed to replicate programs in King County and Seattle Municipal Courts, where failure to appear (FTA) rates had declined 60 percent), court staff contacted people scheduled for upcoming court appearances. The result was a 43-percent reduction in the FTA rate. When the live caller left a message or was able to speak with the defendant directly, the appearance rate rose from an overall rate of 79 percent to 87 and 92 percent, respectively. Court staff also began notifying defendants one day after an FTA that a warrant was issued, and the percentage of people who returned to court on their own initiative within five business days increased from ten to 50 percent. Multnomah County, Oregon uses the Court Appearance Notification System (“CANS”), an automated calling system, and has reported an overall decrease in FTAs of 37 percent with the target population. Other counties use email and text-based notification systems." Spokane, WA has instituted a similar system. There is hope. This is a difficult issue, but not an impossible one. We need to make sure that our lawmakers know that we value prevention over detention. We need them to know that this jail tax proposal isn't good enough. It represents the status quo of mass incarceration that doesn't make any of us safer. Being truly safe means coming together as a community to invest in cost-effective, innovative solutions. ANY JAIL TAX PROPOSAL SHOULD BE DATA DRIVEN, NOT FEAR DRIVEN. Last time we voted no we forced lawmakers to go back to the table and come up with more creative solutions. This time around we need to do the same. Vote NO on 2017-6 and become a part of the conversation. KEEP READING. KEEP ASKING QUESTIONS.